The work responsibilities of Licensed Professional Counselors (LPCs) and Licensed Clinical Social Workers (LCSWs) often overlap. But what are the differences between LPCs and LCSWs in terms of education, licensing, and job description? A majority of licensed professional counseling jobs require a master’s degree at the very least. As undergraduates, students aspiring to become LPCs need to complete a bachelor’s course in psychology or a related program, such as coursework in human development, statistics, or the foundations of behavior. (3) Likewise, master’s degree programs that specifically pertain to major counseling professions, such as marriage and family counseling, mental health counseling, and behavior analysis are available. (4) As a requirement for completing clinical experience, students must work in the field under licensed supervisors. LPCs provide individual-based mental health counseling and lean toward a more collaborative approach than other means of mental health counseling. In addition, LPCs tend to be more flexible when it comes to methodologies than social work or psychology. As a result, LPCs are usually able to make use of innovative or uncommon approaches to treat their clients. They are also able to use the therapies they deem effective as long as the method is within the bounds of ethical standards as well as the legal guidelines for counseling professionals established by the state in which one practices. (5) This kind of flexibility in methods and practices is what most people find appealing in choosing a career in professional counseling and in selecting this particular branch of mental health therapy. To summarize, the LPC designation refers only to those who are licensed by a state board to provide mental therapy based on professional counseling. To receive this license, one must have advanced degrees and training. Academic requirements usually include a minimum of a master’s degree in counseling, as well as post-graduate supervised experience. As with most professionals who need to obtain licenses to be allowed to practice, LPCs must abide by high ethical and confidentiality standards according to the provisions dictated by the state board. To come up with the best way for the counseling sessions to have preferred outcomes, the LPC and the patient must work together and employ a collaborative approach. This approach is also specifically designed for each individual client, particularly their decision making process, in order to help the client achieve his or her objectives and goals. Finally, LPCs can access a broad range of potential programs and means for therapies in mental health. To summarize, the LCSW designation refers to individuals who are licensed by a state board to provide mental therapy based on social work. To become an LCSW, one must earn at minimum a MSW. Signing an ethics pledge or oath is often necessary, and a practitioner must abide by high ethical and confidentiality standards according to the provisions by the state board. An LCSW must use a strength-based approach that is rooted in research on treating clients. He or she must also be able to assess and make clinical evaluations of the client’s mental health, as well as diagnose any mental illness. Furthermore, an LCSW must be able to make judgements on the best series of treatments that take into account the current clinical research in the field of social work. 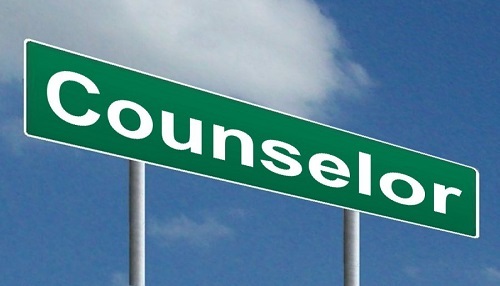 Jobs in counseling and social work are in demand. They are also rewarding because both fields involve helping individuals who are dealing with mental health problems. You can choose to pursue either career path depending on the type of counseling and mental therapy you want to provide. Wendi Garcia. "The Difference between LPCs and LCSWs." DifferenceBetween.net. February 23, 2017 < http://www.differencebetween.net/miscellaneous/career-education/the-difference-between-lpcs-and-lcsws/ >.